Activity: 1v1. Goals facing outward. 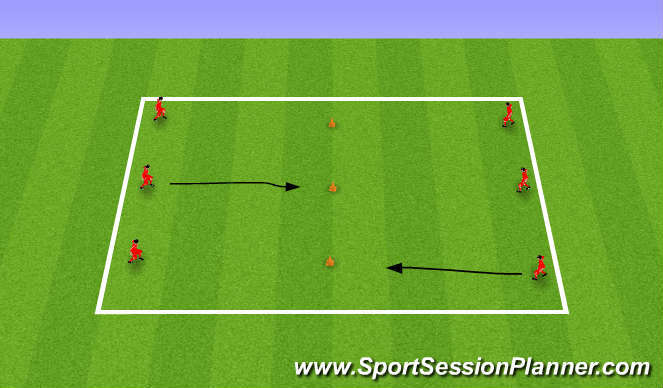 Coach plays ball in to player and they have to try and score in one of the goals. 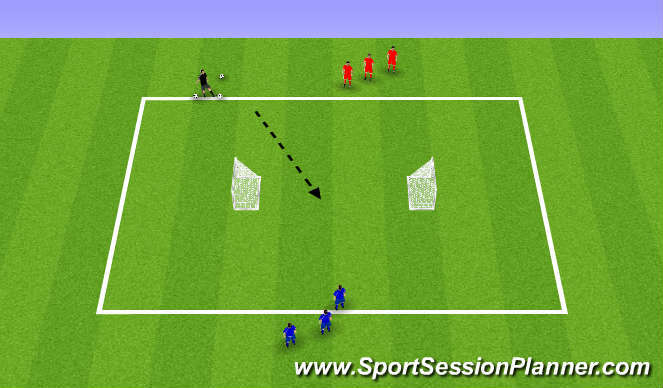 Defenders can score if they steal ball from attacker. Switch lines. Keep score later on.